Simply click on the button below, This will take you to PayPal (you do not need a PayPal account to purchase, you can still use your credit card). Then enter the amount, in £’s, of the voucher you would like to give; vouchers are available in any denomination. Finally, click on the update button. We will send your voucher to you by first class delivery usually within 48 hrs of the order being finalised. If you require the voucher quickly you may purchase them by mailorder on 01590 670668 or collect from the gallery. 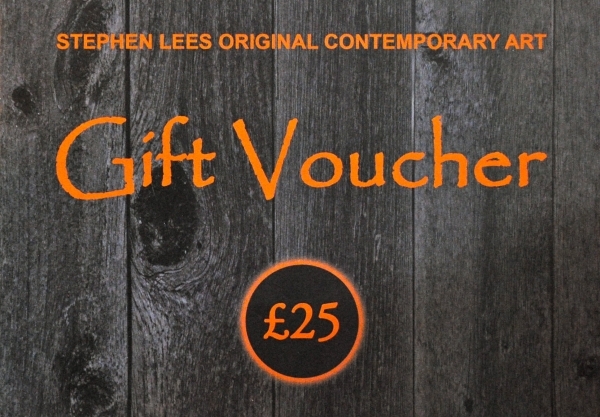 The recipient may use the gift voucher to purchase one of Stephens paintings or they may choose to customise their own. To find out more please click on “Customise”. When buying we would really appreciate you letting us know how you found our website in the 'Additonal Information' option in PayPal. Thank you!